Sunday will mark my fourth half marathon. I ran my first half in 2014, which showed me how incredibly capable the human body is. It was amazing and the sense of accomplishment I felt from those 13.1 miles was overwhelming. I made a vow to myself after crossing that first finish line that every year to follow I would run at least one half marathon. It was a promise I made and a promise I have so far kept. This year however, I was close to breaking that promise. Having been super busy over the summer, I wasn't able to dedicate the time to training like I had in the years prior. To top it off being away in Europe for the entire month of September and not being able to religiously work out like I normally do didn't put me in tip top half marathon shape. I decided however, that to keep that promise to myself (and to whip my bod back into shape) that upon my return from Europe I would train for a half.. in six weeks. My oh my was I in for a rude awakening. It sucked, it hurt, and I came very close to quitting... on multiple occasions. Although throwing in the towel was very tempting, I have always been a firm believer in finishing what you start and not giving up. So here I am six weeks later, most certainly not the most prepared I've ever been for a half marathon, but so very happy to have not quit even when it wasn't easy. On Sunday I will run 13.1 miles and be very proud of myself for deciding to start and even more proud to have finished. 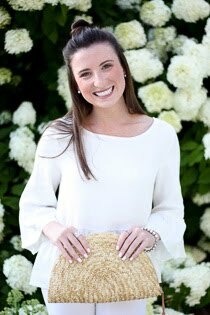 In honor of running another half marathon this weekend, I figured I would share with you some absolute essentials if you are planning on tackling a half marathon or any race for that matter! Hope you enjoy and get inspired to get running! NRC App // This is a suggestions that relates more to the training aspect of running a half than the actual race itself. When training it is always important to keep track of your mileage, pace, or run length, and the Nike Running Club app has been my favorite for doing so! Not only that, but Nike just released the Nike+ Apple Watch, which makes for the ultimate running experience. Definitely check it out!! 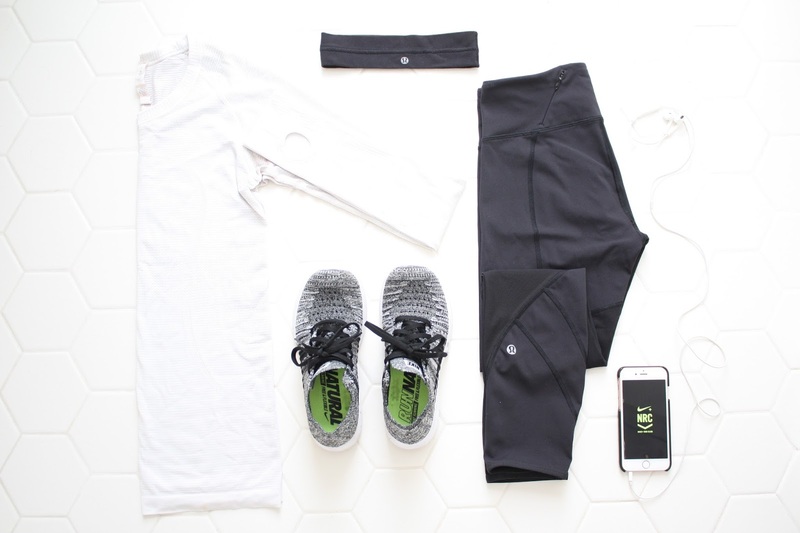 Fun Gear // This almost goes without saying, but what is more motivating then some fun new workout gear!? Not only do you want it to be fun, but functionality is just as important. No one wants to be constantly pulling up their leggings for 13 miles. 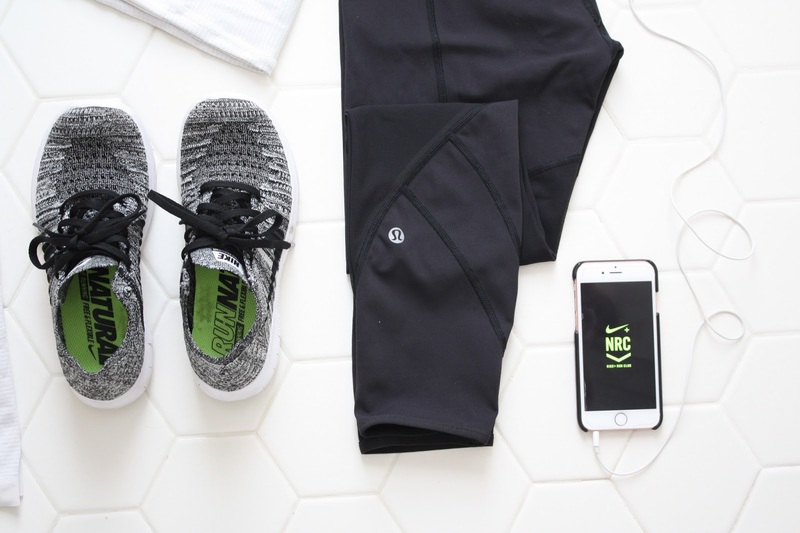 My go-to for fun and functional running gear is Lululemon and Nike has always been my place for running shoes. 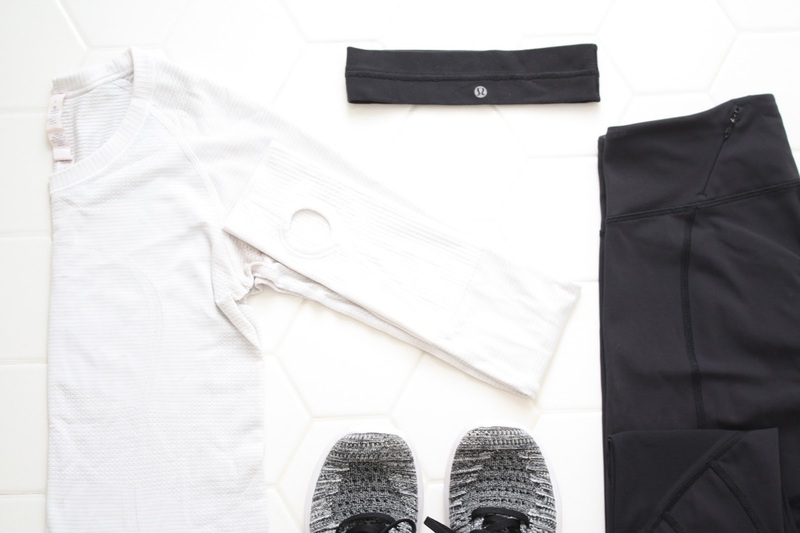 The Lululemon pace rival crop and swiftly tech long sleeve are some of my favorites! Also, you cannot forget a hat - it is an essential for combating super sunny days, pouring rain, and anything in between. Positive Mindset // This may single-handedly be the most important piece of advice I can give, while at the same time being one the hardest to achieve. Running is not easy. The more you run the easier it gets, but even for the most seasoned of runners there are still days that are just harder than others. I think the only way to combat those hard runs, is a positive mindset - and sometimes you have to force a positive mindset just as much as you have to push your legs to keep going. For me, there are two ways I go about putting my mind in a place of positivity - the first is all about perspective. Perspective to me goes hand-in-hand with gratitude. If I am having a particularly hard run, I always remind myself how lucky I am to even be running. If I am running it means that I have lungs that allow me to breathe, a strong heart, and legs that are strong enough to carry me along. There are many that have circumstances that don't allow them to run, and the fact that I am able to is such a blessing. I for the rest of my life will remember this every time I lace up my running shoes, and I will always run for those who cannot. Sometimes, even when I remember how lucky I am to be running, I still need a little extra to get me through those hard runs or hard moments in a run. The best way for me to give myself that little boost is positive self-talk. I will literally talk to myself (in my head) and be my own cheerleader. Telling myself "I've got it", "I am strong", "I can do this", "I am so proud" makes a world of difference, and regardless of if you truly believe it or not, telling yourself it enough will trick your mind into thinking it. Another great way to to this is to pick a mantra to repeat to yourself when things get tough. I promise that running is 90% mental and only about 10% physical. We all can run, if our minds allow it. Mind over matter my friends. I hope these tips help you tackle any distance your desire, and I hope you are feeling inspired to go out there and tackle any and all of your running goals!